Britain will be economically worse off for leaving the EU, finance minister Philip Hammond said Wednesday, as Prime Minister Theresa May takes the Brexit divorce deal to a sceptical Scotland. Hammond’s Treasury ministry said that over the next 15 years, Britain would take an economic hit from leaving the European Union in any circumstances, including under the agreement struck between London and Brussels that May is trying to sell. “Purely from an economic point of view, there will be a cost to leaving the EU because there will be impediments to our trade. What the prime minister’s deal does is absolutely minimise these costs,” Hammond said, ahead of the Treasury report’s publication. “This is a very modest impact on the overall size of the economy as the optimum way of leaving the EU,” the chancellor of the Exchequer told BBC radio. He insisted that the economy was not the only consideration and controlling Britain’s borders, money and laws also had value. “We have to look not only at the economy but the need to heal a fractured nation,” said Hammond. An online Survation poll of 1,030 adults for the Daily Mail newspaper found that 37 percent supported the deal – up 10 percent on November 15 – and 35 percent opposed it, down 14 percent. If the parliaemntary vote is lost, 48 percent said May should resign while 40 percent said she should carry on. If MPs vote it down, Hammond said the government would “consider very carefully how to proceed” through “uncharted political territory”, by studying which MPs voted which way. Having spent Tuesday campaigning in Wales and Northern Ireland, May will use her visit to Scotland to argue that the agreement offers the prospect of an “unprecedented economic partnership” with the EU after Brexit. 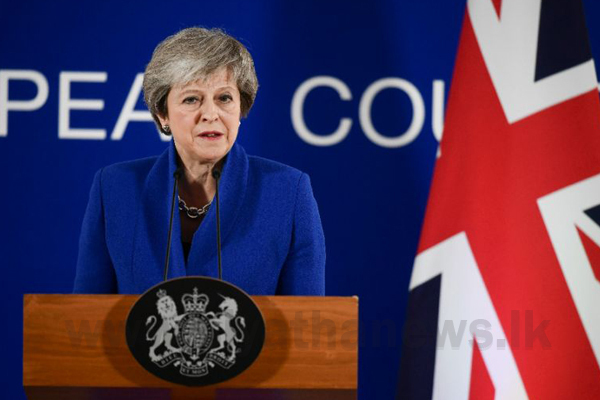 She will also emphasise that it will mean Britain leaves the EU’s Common Fisheries Policy after a transition period scheduled to end in December 2020. “At long last, we will be ‘an independent coastal state’ again – taking back full sovereign control over our waters, and free to decide for ourselves who we allow to fish in our waters,” May was to say in an address near Glasgow, extracts of which were released by her Downing Street office. Scottish First Minister Nicola Sturgeon’s pro-EU nationalist party is opposed to the Brexit divorce deal.